Maxie’s was established in 1956 by Max Sr., and was originally located on Main Street in downtown Twin Falls. At the time, Maxie’s was a small “Mom and Pop” operation, selling a very modest variety of pizzas. But the word spread like wildfire, as customers discovered just what made Maxie’s pizza so special, and growth came rapidly. In just 4 short years, we moved to our current location on Blue Lakes, expanding the menu to include a Spaghetti Pasta dish, along with our now-famous pizzas. In1976, Max Jr. returned from college, joining the Maxie’s team full time. He eventually took over the management of the business. In 1982, Mike Hayes joined Maxie’s, and in 1984, became manager, where he serves at the present time. Starting from the original 12 pizzas varieties, Maxie’s gradually introduced more and more new and popular pizzas. We now offer well over 400 different varieties, and three different crusts- regular, thin-crust and deep dish. Or try one of our 8 delicious sandwiches during lunch hours, cold or toasty warm. Like everything else we serve, Maxie’s makes them just the way you like them. Not out of a can or out of a box- out of our kitchen. 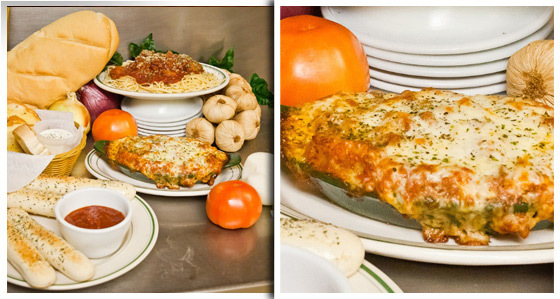 We have recently added even more pasta dishes, now offering 4 different highlighted pasta dishes for your enjoyment. Maxie’s Pizza- More Than Just a Pizza Shop! After many years of hard work by our many passionate employees, the Magic Valley now knows Maxie’s as more than just a pizza house. But, make no mistake about it, our pizza is still as amazing as ever! 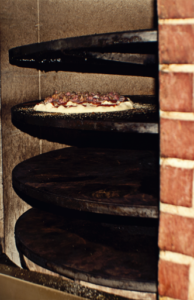 Using our Italy-originated dough recipe, and by always using only the very finest quality ingredients, Maxie’s creates pizzas that keep people talking. 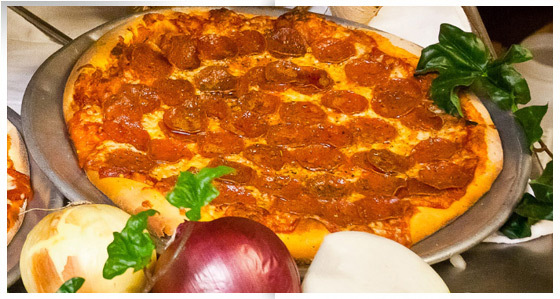 Maxie’s offers salad bar, breadsticks, pastas, sandwiches, pizzas, dessert pizzas and more! Our versatile dough is used for all three types of crusts and also in our spectacular breadsticks! Maxie’s even makes our own spice mixtures, from scratch, in our own kitchen. 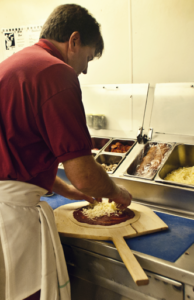 Come in and enjoy the aromas of garlic and homemade sauces, simmering in our kitchen for hours. With our focus on serving, Maxie’s strives to support our local community, which has blessed us so much, by allowing us to grow such a great business through the years. 100% of Maxie’s cheese is purchased locally, from the wonderful dairies in the Magic Valley. We also purchase local meat and other ingredients locally, whenever possible. We truly believe in giving back to the area. Maxie’s also gives back to the community by supporting local charities, whenever possible. By providing food and gift certificates, Maxie’s helps support over 16 different charities. We’re also proud to offer special discounts to students and teachers. Some of the community events Maxie’s has supported include: Special Olympics, Tip A Cop, Fight for Hunger, Toys for Tots, and many others. No matter what your special need, Maxie’s adapted menu, allows all our customers to enjoy our delicious food. Maxie’s now offers specialty pizzas with gluten-free dough and toppings. There are also menu items for the lactose intolerant, individuals with Celiac Disease, or nightshades’ diets. We take great pride in adapting to our customers’ special needs. Let us know of any special needs or allergies- we promise to do it right for you!